I’m super proud to be volunteering with Marketplace here in Gainesville. 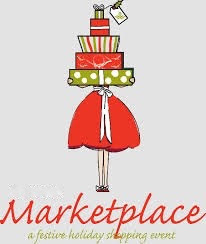 The Marketplace event, held at the Civic Center, showcases many local vendors just in time for your Christmas shopping! Women’s clothing, men’s clothing, children’s wear, home accessories, furniture, gourmet food items…and more! This year, we are adding a new feature to Marketplace….Artists Row will be a special section on the Green Street porch, highlighting local artists on Friday and Saturday of the event. As a member of the NGHS Auxiliary and the Trellis Society Board at NGHS, I see first hand the incredible community outreach that’s served through our hospital.